My Scrappy Life: Freebie Alert! Thank you, this will be great for upcoming car trips! Awesome idea! I came from Kate's blog to tell you "Thanks so much for sharing!". 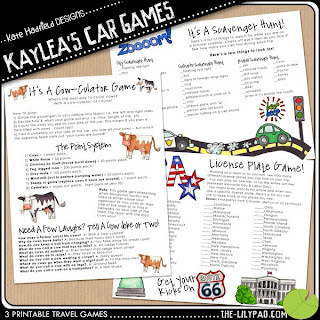 If you use the car games, let me know how they work for you! Do you have other car games that you use on your road trips? Let me know that as well.